On a Sunday I was working outside and got something into my left eye and could not get it out. Dr. Scott was on call and we decided I should come in right away. He quickly found a tiny piece of metal and removed it and gave me medicine to take care of any after effects. I hated to ask him to come in on a Sunday but glad I did. He was very willing to do it and upbeat the whole time I was in the office. He has a very caring attitude toward his patients and also very professional. 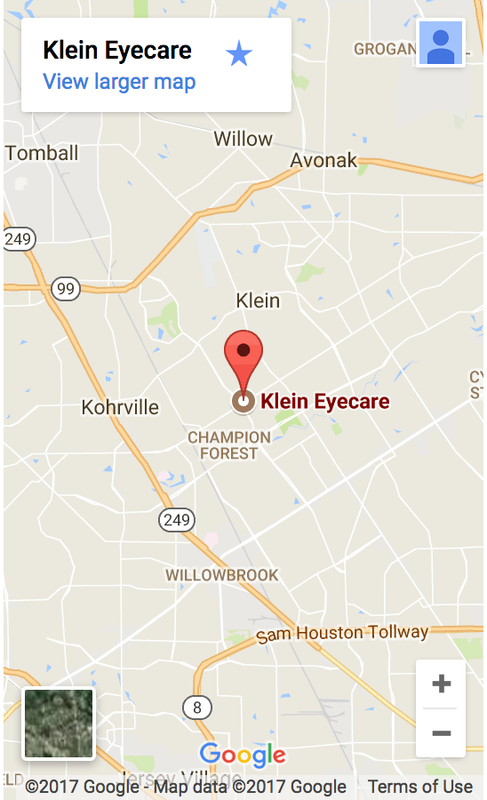 My wife and I have been going to Klein Eye Care for over 30 years and will not go anywhere else.